Posts from Al Jazeera's upstart site for US millennials reach six times more people than already 'like' the page. So what's in the water at AJ+ HQ? As the biggest social network in the world, and therefore the biggest captive audience, Facebook has become the golden calf of digital publishing in recent years, as news outlets sweat over what the latest algorithm updates may do to their web traffic. Grabbing the attention of some of the 1.4 billion Facebook users is central to many organisations' digital strategy, but Al Jazeera's AJ+, launched last September for a young US audience, seems to be light years ahead in terms of how Facebook users are engaging with their content. At the time of writing, AJ+'s total of 680,000 Facebook 'Likes' is modest compared to, say, Vice (4.3m) or BuzzFeed (5.1m), with whom they arguably share an audience and style. But the 'People talking about this' metric, which totals all possible interactions with a page's content from individual users across the network over the last seven days, gives a clearer picture of what Facebook users are actually interacting with. For Vice, this figure currently stands at almost 424,000, or 9.8 per cent of the number of page likes. At BuzzFeed, their engagement level is 39.6 per cent of total page likes. AJ+? More than 4.3 million individuals have interacted with AJ+ content on Facebook in the last week. That's 635 per cent of their page likes. "We were always set up from the beginning to be an engagement led channel," Raja Sharif, strategy implementation manager at AJ+, told Journalism.co.uk, and staff are told when they start that "engagement is what's in our DNA". Without a dedicated website – and casting aside the walled garden of mobile apps for this exercise – social media platforms are the alpha and omega of the AJ+ publishing strategy. But if almost every other publisher under the sun is trying to make Facebook work for them, what makes AJ+ so special? We quizzed Sharif to find out. Although not explicitly stated, Facebook has had eyes on YouTube's crown as the king of online video for a while now. Videos uploaded directly to Facebook get a boost in users' newsfeed and, according to The Next Web, Facebook even prompts some users to ditch their YouTube links for a native video. As the upstart son of an international broadcaster, videos come naturally to AJ+ and make up 99 per cent of the outlet's Facebook posts. "We have regular meetings on a daily basis that help us understand and review how the videos are doing," said Sharif. "That gives the team the lessons in how to produce the videos going forward. "So it gives you retrospective information in terms of how the videos are doing, rather than dictate to you how you should produce those videos." Now that Facebook videos auto-play in the newsfeed, those first three to five seconds have become vital in grabbing the audience's attention, a window engagement lead Jigar Mehta said is now at the centre of the production process. "You hear people asking 'how are the first five seconds? Do you think this is going to work on Facebook? '," he told Nieman Lab in a recent interview. "That took time; it wasn’t just that all of a sudden, everyone got it." So when producers dropped the AJ+ ident in favour of a striking image and text for the first few seconds, views boomed and with them the number of shares, likes and comments. With the knowledge that much of their 18 to 34 age bracket will be viewing on mobile, videos average one to two minutes and any dialogue is subtitled, letting people follow the story without the need to get their headphones out or – more likely – just skip past the video. "We were very particular about trying to ensure our staff would fit to the demographic we're trying to capture," said Sharif, adding that "consultants" have told senior AJ+ staff they have one of the most diverse newsrooms in America. "That diversity creates a really healthy creative tension in terms of the news stories and how those news stories are approached." Recent stories include a huge wild fire in Northern California; animal welfare in Idaho; audio of an Alabama police officer threatening to kill a black man and cover it up; sexism faced by a young, female engineering student; a plot to bring down the Planned Parenthood; and the abuse an "Italian Huntress" has received for showing off her big-game kills. An AJ+ video, featuring strong language, from YouTube. The opening ident doesn't feature on Facebook, where the video has had almost 6,000 interactions in eight hours. It has been viewed less than 4,000 times on YouTube. All arguably capture the zeitgeist of public discourse among young, connected Americans and in the 12 hours all six have been online, they have garnered almost 20,000 likes, shares and comments. That figure does not include the conversations building up around individual comments, some of which reach dozens of replies in themselves. "Our videos speak the language of the people we are talking to," continued Sharif. "A lot of our management, if I can put it this way, have raised [their] eyebrows in terms of the freedom we give in language that is allowed to be put in our videos. "I think it's very interesting that you create a team to reflect your audience." 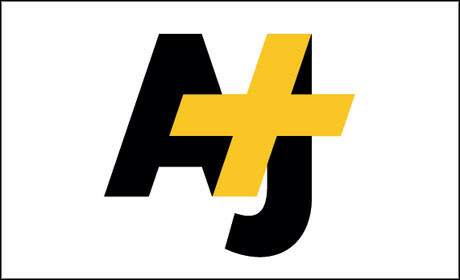 The AJ+ engagement team, which Sharif said is almost as big as the editorial team, has three subsets: a social media team, who write and schedule posts, engagement producers and a data team. "We have engagement producers embedded in all our video production teams," he said, "so those guys create an expectation of what audience is going to come and how they are going to engage around the videos. "Then the data teams are the important teams, as they tell us whether the videos are reaching the right audience and what lessons we can learn from the data that we're getting back in terms of how we should produce our videos. And those teams work very well together." Mehta said the data teams are working on their own "engagement score" by which to understand videos and feed back information to editorial and production staff about when and why videos may be more popular. And what's more, staff regularly trade roles within the newsroom to give them a greater understanding of the different factors that go into production "rather than silos building up". "It gets people to show what talent, perhaps, they have on the video production side," said Sharif," or have on the social media side. And it also allows people to empathise with each other so they know what to do. "These are automatic learning sessions rather than 'lecture and audience' kind of sessions. That rotation that we do between those teams really helps them to gel together." Most important, though, said Sharif, is a culture of innovation and a license to experiment in how the teams work – individually and collectively – in reaching new audiences in new ways. "If it hadn't been for Al Jazeera allowing us to experiment, I don't think we would have been successful as we are," he said, "and, more importantly I think, help other companies and colleagues understand the power of the digital platform for current affairs programs." AJ+ doesn't have the same commercial pressures as many other organisations, pressures that could be a help or a hindrance depending on how they integrate with editorial. But if Facebook really does become the biggest video platform on the social web, AJ+ might just be the light that guides the rest of the industry into making it work for them.